Open for the season beginning the day after Thanksgiving! Sampling of what’s offered in the new gift shop! Choose and cut your own Christmas tree or choose from the selection of freshly cut trees or tag your tree and come back to cut it later. We are located on Route 10 (163 Dartmouth College Hwy) in Lyme, NH, 03768 ~ about 8 miles north of Hanover or approximately 2 miles south of the Lyme village green. Balsam Fir, Fraser Fir, and some White Spruce. Price range is $15 – $75. depending on size. Trees up to 15 feet tall. Saws provided. Twine provided for tying trees. Tree stands for sale. Payment forms: Cash or local check only. 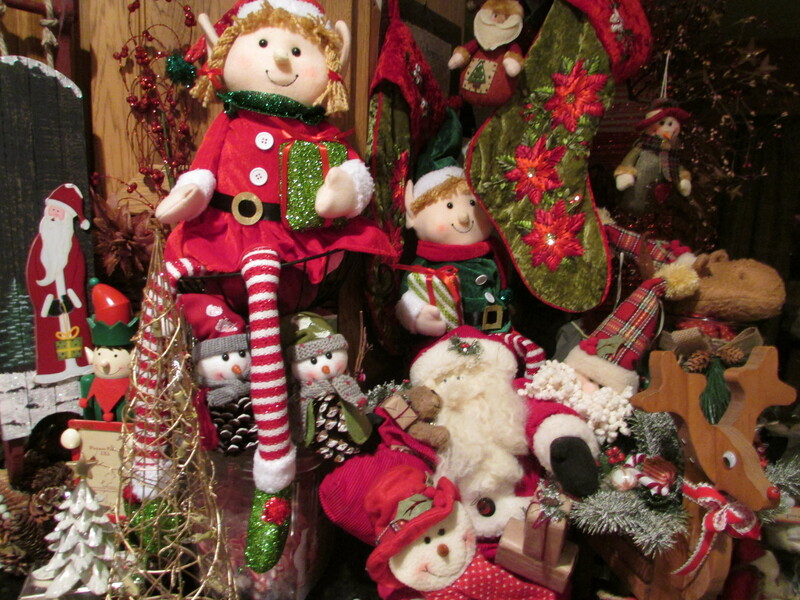 We also offer our beautiful, handmade Christmas wreaths ~ plain & decorated in a variety of sizes; garland, kissing balls greenery, centerpieces, and a variety of other decorations. Our own freshly cut Christmas trees at 103 Hanover Street Plaza, Exit 18 off Rt 120, near Gnomon Copy in Lebanon, NH, 03766. 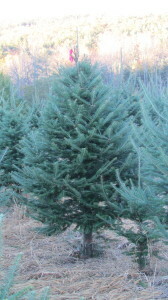 Balsam Fir and Fraser Fir Christmas trees are available in a variety of shapes and sizes. 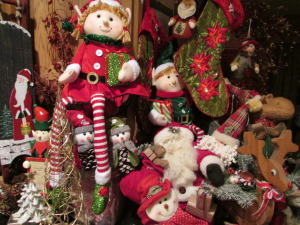 Beautiful handmade wreaths in a variety of sizes, both plain and decorated, garland, kissing balls, and other greens too! Payment forms: Cash or local check only. 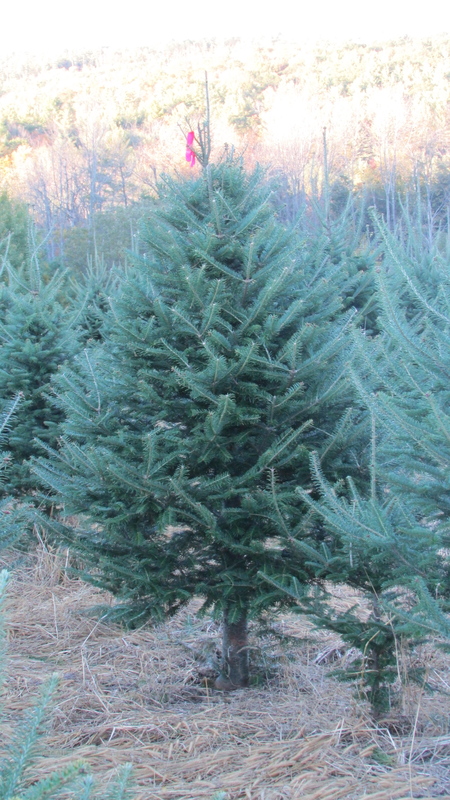 Our own freshly cut Christmas trees located in the Colonial Plaza, next to Seven Barrel, Rt 12A, West Lebanon, NH 03784. Balsam Fir and Fraser Fir Christmas trees are available in a variety of shapes and sizes. Beautiful handmade wreaths in a variety of sizes, both plain and decorated, garland, kissing balls, and other greens too! Payment forms: Cash or local check only. To contact us, send an email to info@nicholstrees.com or phone (603) 795-4392. Copyright © 2013 Nichols Trees. All Rights Reserved.